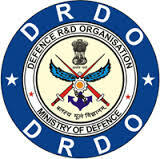 Defence Research and Development Organization is going to recruit candidates in India for Scientist`B’ Posts.Reference DRDO/RAC Advt No. 122 published in Employment News 10-16 Sep 2016 and also posted on RAC website (http://rac.gov.in) as well as DRDO website (http://drdo.gov.in) for the recruitment of 18 posts of Scientist `B’ in DRDO.Due to availability of additional vacancies in subject/discipline of `Psychology’ and administrative reasons, the amendments are made in the above referred Advertisement.Read the whole ADVRTISEMENT carefully before applying. Job Location : Armed Forces Medical College( AFMC) / Service Selection Board (Army) India. Important Dates: 18 Mar 2017(1700 hrs IST) to 07 Apr 2017 (1700 hrs IST). PAY BAND PB-3 (`15600-39100,GRADE PAY ` 5400/-) IN SPECIFIED DISCIPLINES AND CATEGORIES. TOTAL EMOLUMENTS AT THE TIME OF JOINING WILL BE APPROXIMATELY ` 60,000/- P.M. AT THE PRESENT DELHI RATE (LIKELY TO BE REVISED AS PER THE RECOMMENDATIONS OF THE SEVENTH CENTRAL PAY COMMISSION). Age : Minimum age 18 years & maximum age 28 years. Screening will be Based on Valid GATE 2015/2016/2017 Score for few category wise vacancy and on Percentage of Marks in Essential Qualification for other category wise vacancy. The Process for applying for these vacancies is to apply online. Below we also shared the direct official link to apply. We advise all interested candidates to click on that link for online registration.